How do I share an Update via Slack? 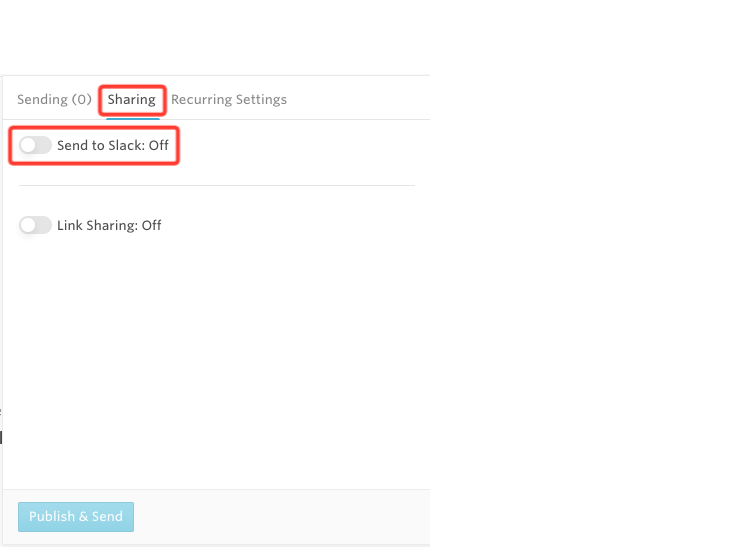 From here, you will want to navigate to the "Sharing" tab and toggle "Send to Slack" to "On". Once you have authorized your Slack account you will be able to choose which Slack channel you would like to push your Update to as shown below. 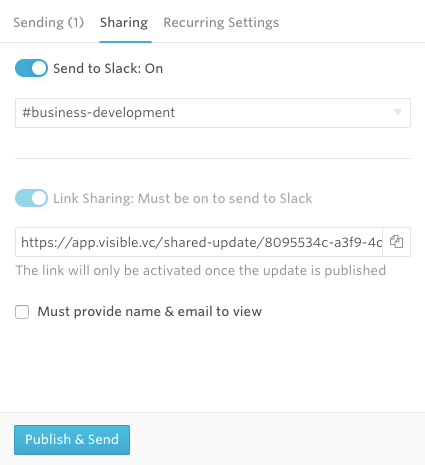 Select your Channel, click "Publish & Send" and your Update will be shared in Slack instantly. 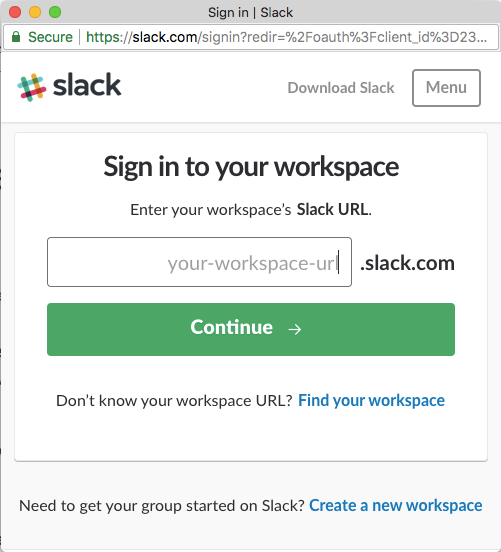 Note: Link sharing must be on to share via Slack. 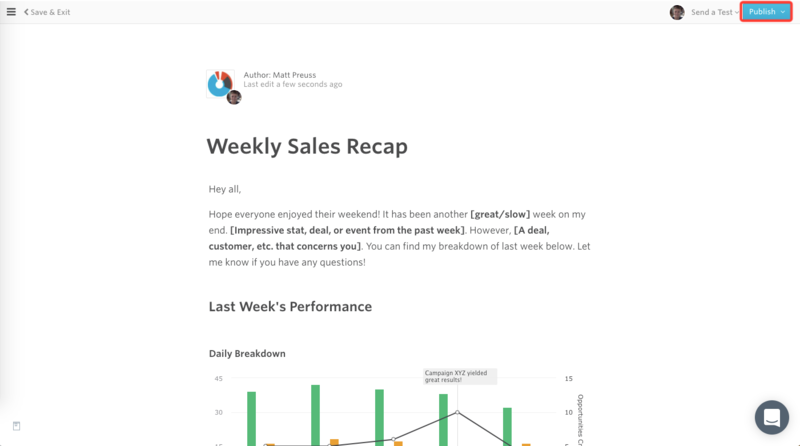 Note: We will automatically display intro text and the first chart in an Update when shared via Slack. 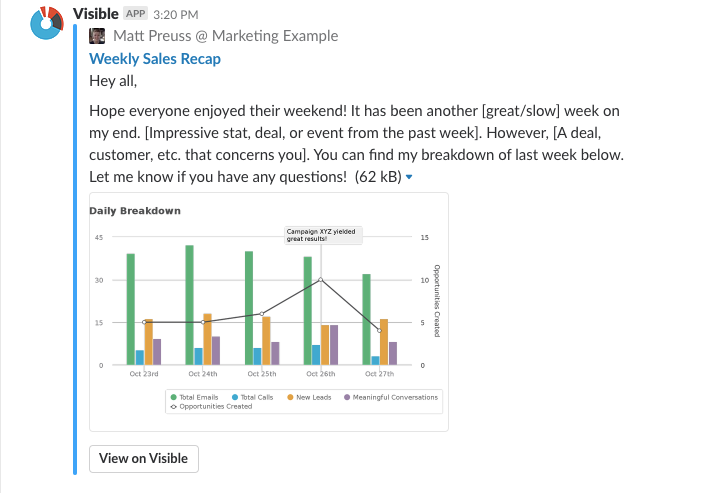 Members of the Slack channel will be able to view the entire Update by clicking "View in Visible".